Very warm and waterproof. Sizing seems to be slightly bigger than previous Sealskinz gloves. Love these. I get cold hands quite easily, these have kept me warm on chilly morning commutes without being too bulky. I wear these gloves every day since they arrived from the UK 10 days ago. Together with the sealskinz merino wool glove liners, they keep my hands warm in freezing temperatures (35 degrees) on my 20 mile daily commute. They just work. Delivery was fast and price was better than any seller in the US. I'm very happy with this purchase. Thanks! Thought these were going to be too bulky but rode all day in them. Hands were toasty warm and didn't affect controls. 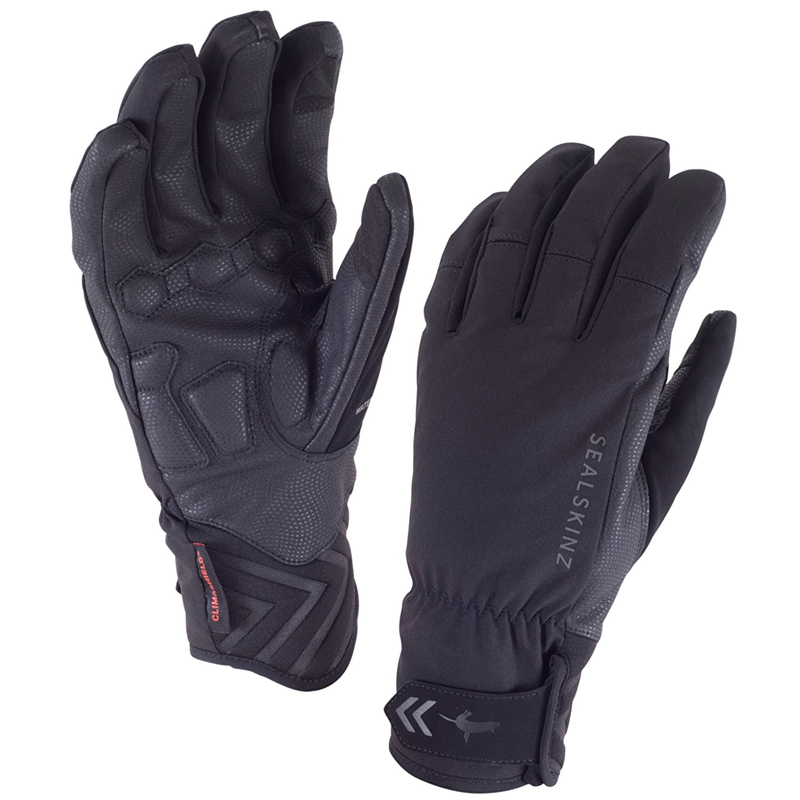 Well made comfortable gloves. My fingers were cold on a 30 degree ride, but they warmed up after 10 miles or so. I have yet to find any gloves with fingers that keeps me warm at these temps, so I guess it's as good as it gets. If it gets colder, you need mittens. First rate for warmth and flexibility. Run a bit tight in the wrist.